Diet Recommendations Answers the Question "What Healthy Foods Make People Fat?" In the newest article from Diet Recommendations, they list the top "healthy foods" that can make people fat. The popular health and fitness website Diet Recommendations has published a new article answering a common question they receive every week. This diet question often asked from their readers happens to be, "What are some of the healthy foods that make people fat?" The staff at Diet Recommendations compiled a list of the top 8 "health foods" giving reasons why these healthy foods can cause people to gain fat. One example given in the list that surprises most people is dried fruit. The article mentions that even though dried fruit is fairly healthy, the only issue with it is that once the water is removed from the fruit, it drastically reduces the actual volume of the food entering the stomach. This causes people to eat more than they normally would, increasing the calories consumed. The full list of healthy foods that can cause weight gain are listed here at http://dietrecommendations.com/8-healthy-foods-that-make-you-fat/. Additionally Diet Recommendations is offering a free fat loss PDF which has a list of the top fat burning foods. 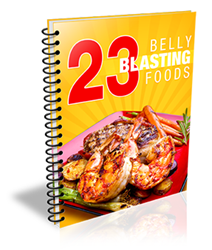 This 31 page PDF can be downloaded here at: http://dietrecommendations.com/fat-burning-foods-pdf.